Maryland Foreclosure Process- If you live in Md and you are facing foreclosure, please see below for the beginning to end process. When you develop a definite plan of action with well-timed, well-informed steps, you can stop the foreclosure process and save your home. We have outlined the foreclosure process for the state of Maryland. assent to decree foreclosure, in which the borrower agrees to permit the court to order foreclosure. In either case, however, the lender must file a lawsuit in court to foreclose. The same is true if the mortgage instrument lacks either a power of sale clause, or an assent to decree clause, but in that event, the lawsuit will be more complicated. When the mortgage contains a power of sale or assent to decree clause, and if 25 percent of the involved lenders (as measured by the percentage of the total dollars of mortgage debt against the property) consent or make application for sale, then no service of process, answer or hearing is required. This simplifies the lawsuit. On the other hand, if the mortgage contains neither a consent to a decree clause nor a power of sale clause, or if a foreclosure sale is desired prior to the court's final decree, then there must be service of process, an answer and a hearing. However, in the latter case, 25 percent of the lenders do not have to join in filing the initial lawsuit. Power of sale clause foreclosures must be done under court supervision in Maryland. A person desiring foreclosure must file a lawsuit asking for foreclosure pursuant to the power of sale clause. Include in the lawsuit paperwork a sworn statement of the amount of the mortgage debt and a certified copy of the mortgage. Post bond for the amount approved by the clerk. Publish notice of the time, place and terms of the sale once a week for three weeks prior to the sale, with at least 15 days' notice of the foreclosure sale. Mail the foreclosure notice by certified mail, return receipt requested, to the borrower no less than 10 and no more than 30 days before sale. The notice must also be mailed to the present owner and holder of any junior mortgage or other lien that has been recorded who also recorded a request for notice. Under an assent to decree foreclosure, the lender must file a lawsuit in court to foreclose. The court will then enter a decree ordering the property to be sold and appoint the trustee to conduct the sale. 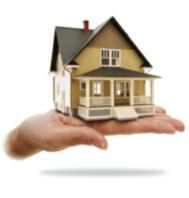 The trustee must post a bond and sell the property according to the terms fixed by the court. The court will later confirm the sale. In Maryland a deficiency judgment may be obtained if the lender makes a motion for it within three years after the accounting before the foreclosure is complete. Maryland foreclosure proceedings take place as an action under equity law. Maryland has not seen fit to establish a specific time limit on how long the borrower has to wait to redeem real estate lost in foreclosure. However, the Doctrine of Laches prevents this time period from being unreasonably long.